Elk, that was a wonderful interview! It's fun to see friends in different places and to learn more about them. Thank you, as always, for sharing so much of yourself & your art. Off to read the interview. Love all of the shapes and forms and evocative feelings here! Beautiful partial/complete photos. Love how you see the world and share your words. And good choice on the list of todo's - I would have watered the garden first, too. Enjoy your day! those black & white places were singing to you! and the interview! i love how much attention you paid as a child, how your parents contributed, probably unknowingly, to the artist you have become. I loved reading your interview. I enjoyed reading about how your philosophy is a thread through all you do. I heartily agree that you create a "gentle mood" at your blog. I often feel myself become calm when I read your words, see your work, and enjoy your comments. Hurray that you create before you sweep. The world needs more of it! 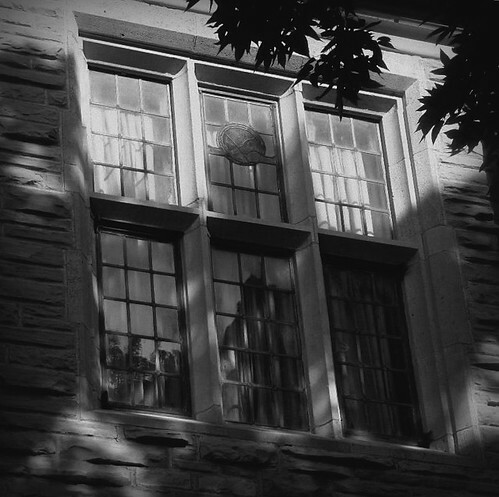 Beautiful windows here and a beautiful window into your heart and mind in the interview! Love! I'm off to go and visit the link. A great interview! Congrats! And I agree, love the feel of stone in my palm. Wish I could send you some of our rain for your garden! Then you could play more! ha. lovely photos, as always. 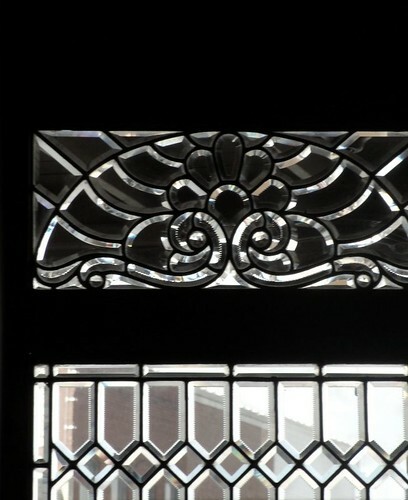 I've always had a 'thing' for stained and beveled glass. So gorgeous! 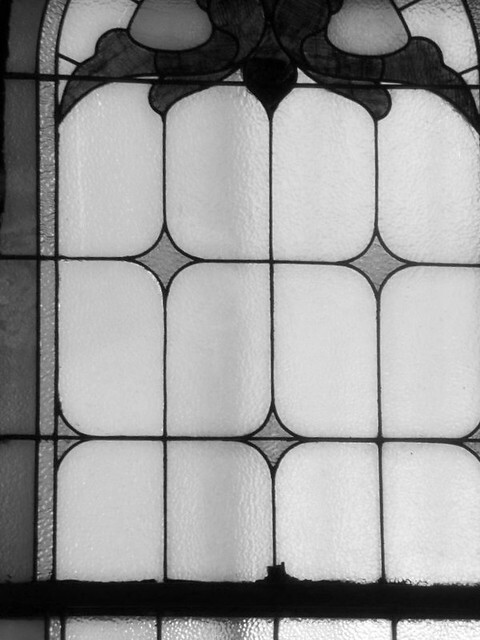 I love all the patterns -- man-made and natural -- in your images today. And what a joy to read your interview! I have always responded on a very visceral level to your work, and I think it may be because I love the idea of using discovered materials, whether they be from nature or frugality, to create something beautiful. Ah, I know the feeling!!! I am trying to pull away to make supper... will read the interview and catch up later! Love love these pix! sounds like you are enjoying the serenity of summer. enjoy listening to the water trickle from your hose. I enjoyed meeting a bit more of you in the interview. So glad you saw the beauty in these photos and took the time to share with us. You make windows a work of art. You pay attention to the very best things. These images are a moment of hushed quiet in a busy life ... thank you. Elk, you've captured some of my favorite things - reflections, geometrics, cast shadows, and all in B&W. Just Stunning!!! Looking forward to reading your feature. as i've said many times before - you are a true artist. 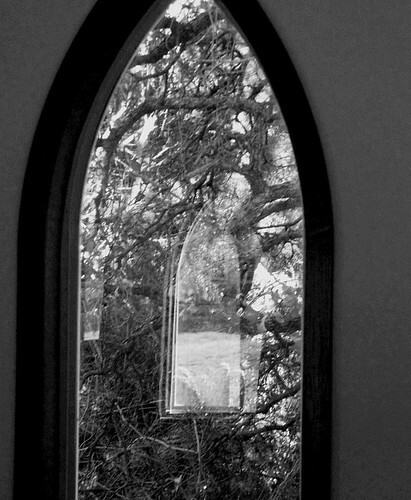 these window photos have a deeper meaning of your reflective personality and your vision. Thank you so much for sharing this interview with us. As always, the photos speak volumes! Your photos here are stunning as are your simple words. Thinking along the same lines I took some similar photos today. Something I never really noticed at "home" but visiting the beauty of the mountains in Washington it jumped out at me. Your interview was wonderful to read! your art is just beautiful.. and all these links. thanks so for sharing!